Composites are shaping what is possible in the design and construction of high performance yachts, enabling the delivery of innovative, rotating, automated, free-standing rigs and stayed mast rigs of record heights and scale. Through-life monitoring, enabled through embedded fibre optic strain load sensing, is setting new world standards in the acquisition and analysis of live structural health data of composite structures. 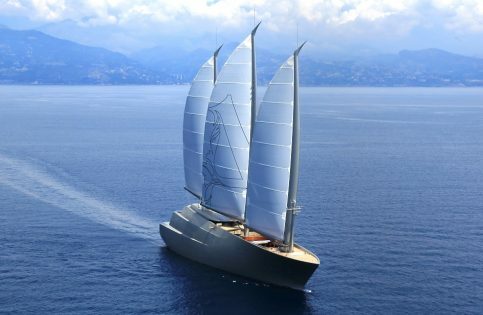 Having designed, developed and built the Maltese Falcon’s masts, our team has unique access to over eight years of data that demonstrates the high performance of composites over time. Magma Structures are currently in the last build phases of an innovative project to deliver two of the world’s largest unstayed rigs, of in excess of 80 metres with an automated sailing system and embedded optical fibre strain sensing. Advanced composites are providing solutions to key manufacturing challenges in the marine sector, particularly the need for lightweight, large-scale items that require high safety features and can withstand harsh environments.